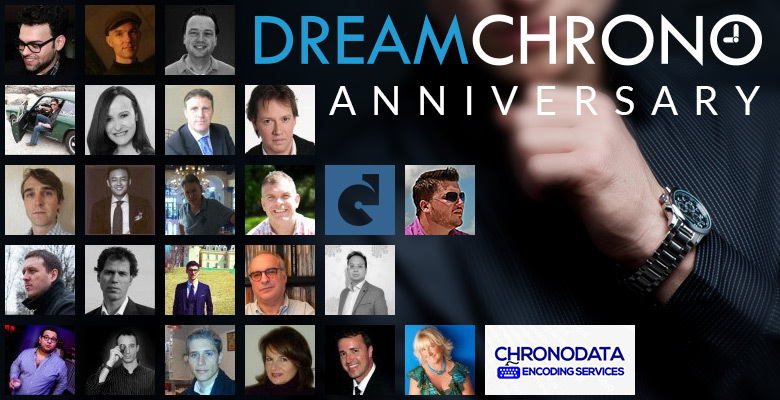 DreamChrono Blog > Opinion > DreamChrono: a year to remember? It’s a year ago this month that DreamChrono was launched onto an unsuspecting watch world, and it’s fair to say that over the past twelve months it’s caused more than its fair share of ripples, it’s made some waves, and a pretty impressive splash. Months in the planning, the first post was published on October 1st 2013: Collecting Watches: The Time Has Never Been Better. Like everything that is brave, shiny and new, there was plenty of skepticism about this ambitious, impudent start up, which is why established writers such as Elizabeth Doerr (who should also blow the first candle of the Blog Quill and Pad she launched this year) and Benjamin Clymer (Hodinkee) although invited to write for us, hung back, perhaps first wanting to see just what DreamChrono is all about. One year on, they are yet to contribute, but the door remains open. Meanwhile DreamChrono has come a long way, and in the unending quest to attract only the best writers we managed to bring on board some stars and bruise a few egos. It seems Ariel Adams still hasn’t forgiven us for poaching some of his best writers, and although we said sorry, it seems he’s still not happy about it. But hey, you can’t build a great watch without attracting a few blued screws. Despite this, we successfully assembled a team of 25 top watch journos and writers that would be the envy of any watch blog. If premier league footballers took the time to study the writings of our heavyweight watch writing talent their wrists would be more valuable than their feet. Our team includes Ken Kessler, Angus Davies, Tom Mulraney, Frank Geelen and a host of seasoned and entertaining chronologically inclined bloggers who daily add original sparkling content to our growing archive. So far there has been fresh content every single day since we began. For those fascinated by web statistics, between them the team has notched up over 325,000 words, produced 542 articles and covered 183 topics. The blog has helped us to build from scratch an audience of 275,000 Unique Visitors generating around 931,000 page views, 20,363 Facebook Likes, 2,123 Twitter followers, 4,945 Instagram devotees, 2,583 Google + fans,135 Pinterest followers and 43 YouTube subscribers, all within the first year. Many watch blogs have been unable to achieve these figures in three to five years of operation. One year on and the blog enjoys an average audience of around 1500 visitors a day. So is DreamChrono a blog? Yes it is, but it’s also so much more. For a start, it’s one of the few genuinely bilingual blogs, running fresh content daily in English and one post per week in French. In addition it’s a growing Directory of useful resources and media related to watches and watch accessories. (http://directory.dreamchrono.com). And perhaps where DreamChrono differs most from any other watch site is that it is also a rapidly growing and comprehensive Watch Database: https://www.dreamchrono.com/encyclopedia/ with more than 4000 watches indexed so far. It’s our intention to catalog every watch brand large and small, and feature every specification of every watch in each and every collection. It’s a vast undertaking, but day by day, watch by watch our small team of Data Encoders, supervised by watch journalist Michael Weare, is building a catalog which will become the only resource of its kind on the web. Visitors can also also add their own Virtual Collection of watches both new old, vintage or antique, thereby creating an invaluable inventory of the watches they possess in a format that will be forever at their fingertips. With this useful feature you can sneak away and look up several definitions you might have heard being bandied about in high powered watch circles and find out exactly what they are talking about. We are building the dictionary day by day, so if you have any terms or Watchspeak we should know about please do contribute. As you can imagine, all of this endeavor has cost a lot of money, so why are we doing it? It’s in order to attract the serious Watch Collector and the dedicated Watch Dealer to a quality and knowledgeable watch environment so as to create a vibrant watch marketplace. The man behind DreamChrono is Romain Brabant, a passionate watch collector who wants to offer fellow watch enthusiasts and watch professionals simply the classiest website possible for buying, for selling, for collecting, for learning and for reading about watches of every style, design and price tag. Like many guys into high-end watches, Romain is a perfectionist, which is why he has invested more than a quarter million of his own cash into the venture so far. True he could probably have found the money from investors, but then Jerome, Benjamin, and all the team of Dynamic-Creative, the hard working web agency behind the site, wouldn’t have felt the daily hot breath of urgency and need to succeed anything like as much as they have in the last year were it someone else’s cash! Although there is still a long way to go, maybe this is the secret to how DreamChrono has come such a long way in such a short space of time. There’s much more to come from DreamChrono in the coming year including at least four new sections and services, more original content, more data, and of course the new marketplace. We can talk to you in one year when we have completed another important milestone in our journey, or if what we’re doing at DreamChrono has piqued your interest, you can talk to us now.